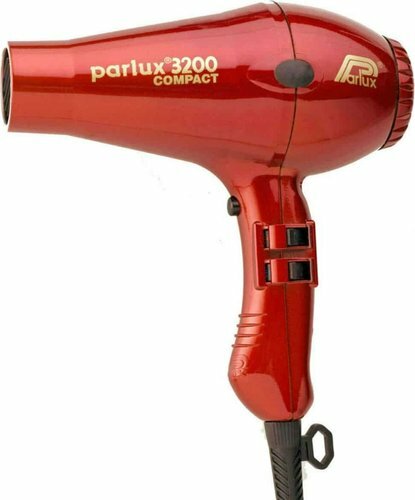 Parlux 3200 Compact reflects the already know and appreciated characteristics of PARLUX: long-life, Power and well-balanced for a more comfort use. More Powerful in a ”Compact” Size. LIGHT WEIGHT: Reducing the weight of all the components an exceptionally light hairdryer was created for a comfort of use. MANAGEABLE: Ergonomic Handle for more balance and comfort of use. Equipped with 2 nozzles enabling a secure, precise and quick adhesion. One for a perfect setting of the hair and the other for fast drying.